1. Click on Date and Time element to be included in your form. 2. Click on "Edit" at the top to manage the settings. 3. On the "Edit" View you can edit the settings of this element. You can input Begin Date and End Date of your choice. 4. 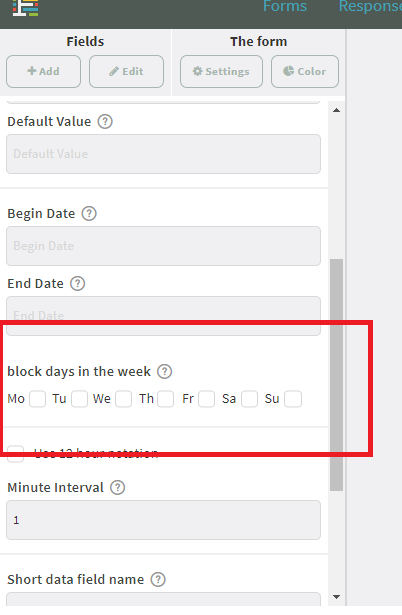 On the "Block Days of the Week" Option, you can click on the days you want to block. You can choose whether weekdays or weekends only. 5. After customizing the details, finish up your form, save settings, publish and try to see the results.